Thank you to Dollar Tree for sponsoring this project! The content of this post is 100% my own. 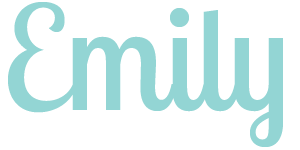 Affiliate links are included, meaning I’ll be compensated if you make a purchase through a link. For more information, see my disclosure here. I absolutely love greeting trick-or-treaters on Halloween. Seeing everyone’s costumes and handing out candy is always a blast. 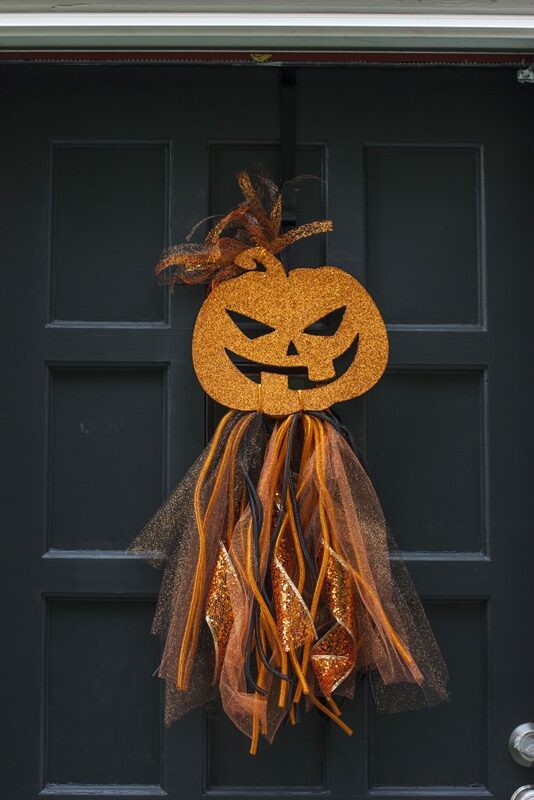 Since we are moving into our new house just a couple weeks before Halloween, I hope trick-or-treating will be a chance to meet some of the families in our new neighborhood. 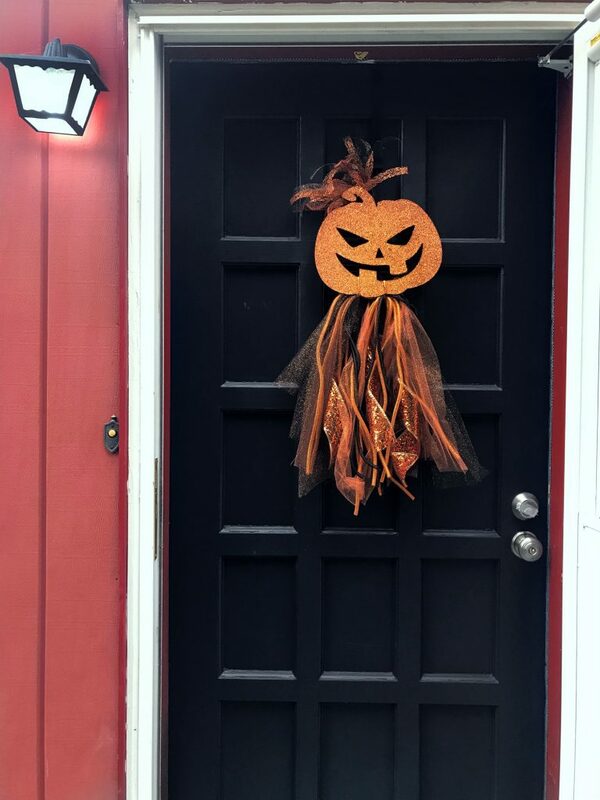 I’m not typically one to use a lot of specific Halloween decor, but I thought it would be fun to make something eye-catching for the front door of our new house so the neighbor kids know we’re a place to stop on Halloween night. 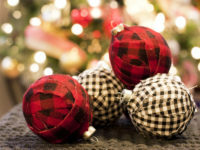 You can find all of the supplies for this project at Dollar Tree! 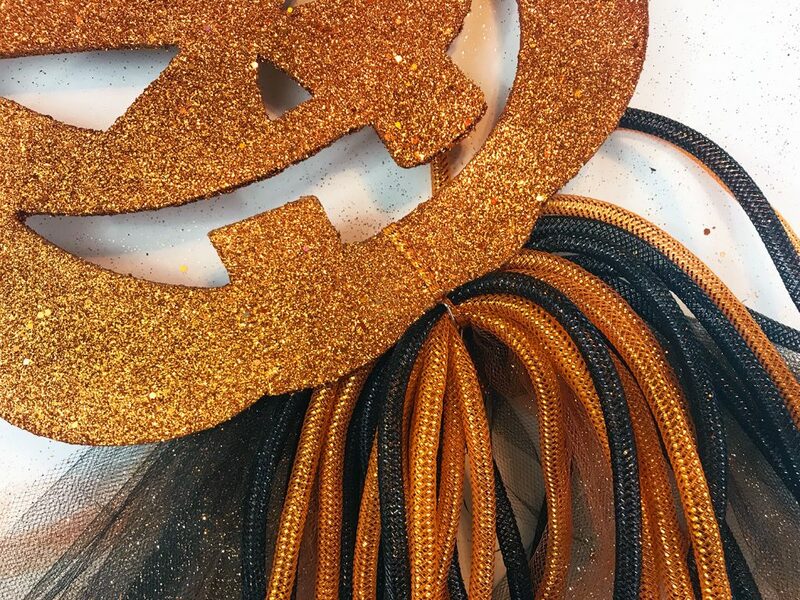 They have some awesome Halloween and fall craft supplies and decor this year. I loaded up a whole basket of crafty supplies while I was there. 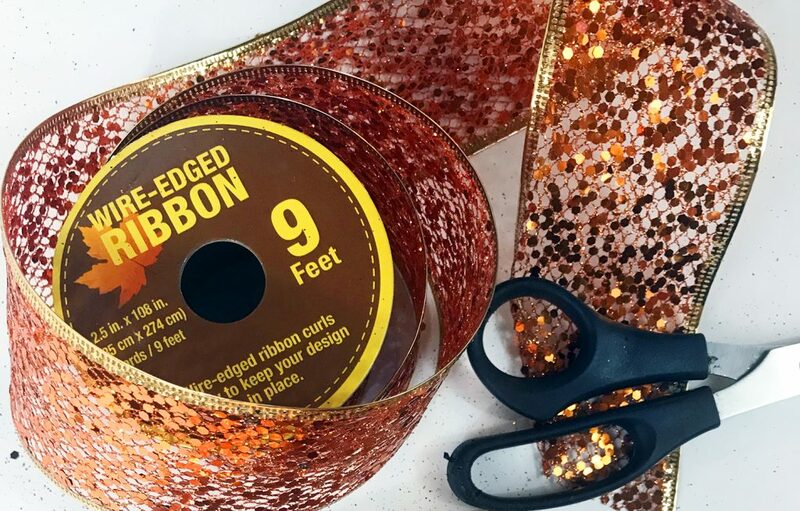 Cut all three rolls of sparkle tulle into 26-inch lengths. 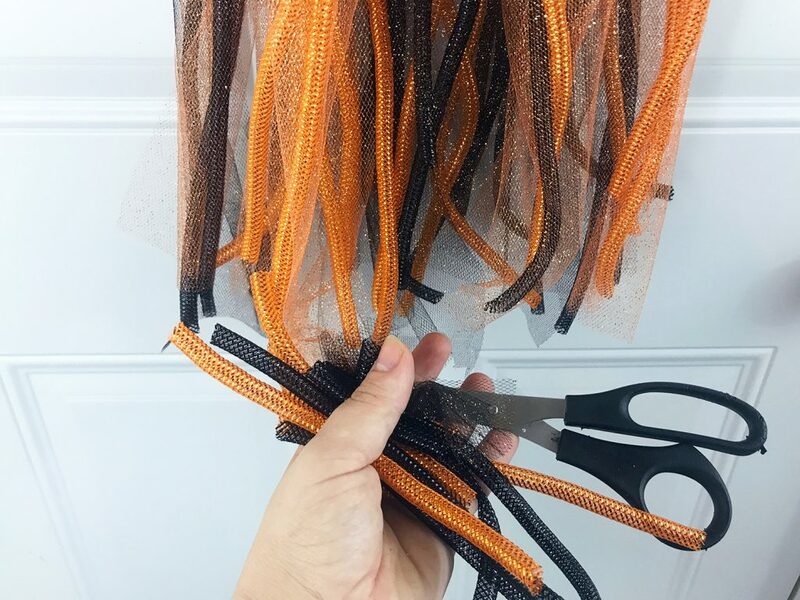 Fold the stack of cut tulle in half and wrap a small piece of wire around the center so all the tulle is in one bunch. 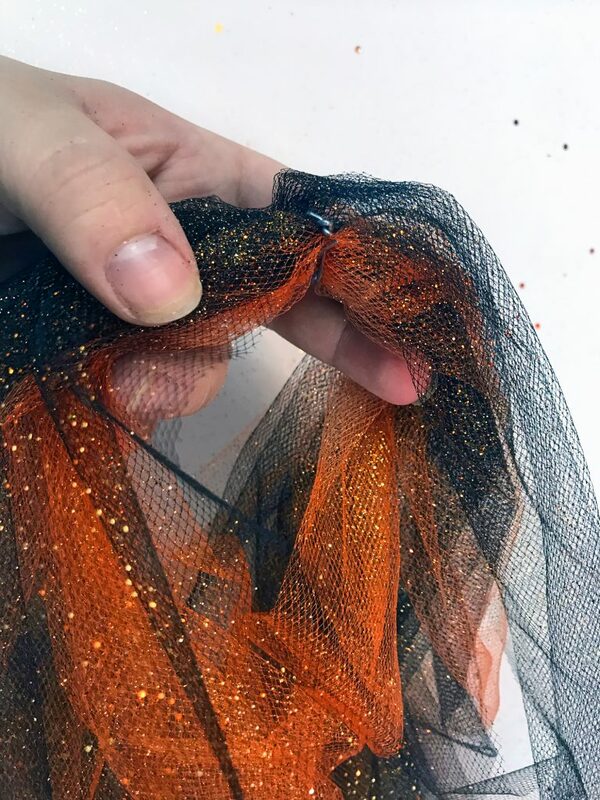 Use a small scrap of orange mesh tube to tie the bundles of tulle and mesh tube to the bottom of your sparkly pumpkin. Double knot the mesh tube to be sure everything is tightly secured. 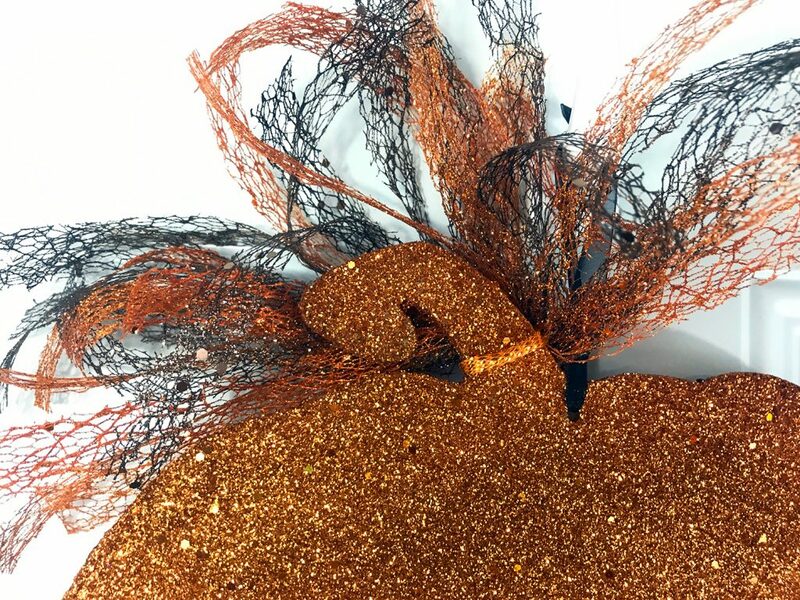 After the tulle and tube are tied in place, flip over your pumpkin. It will look like the photo below. The next step is fluffing! 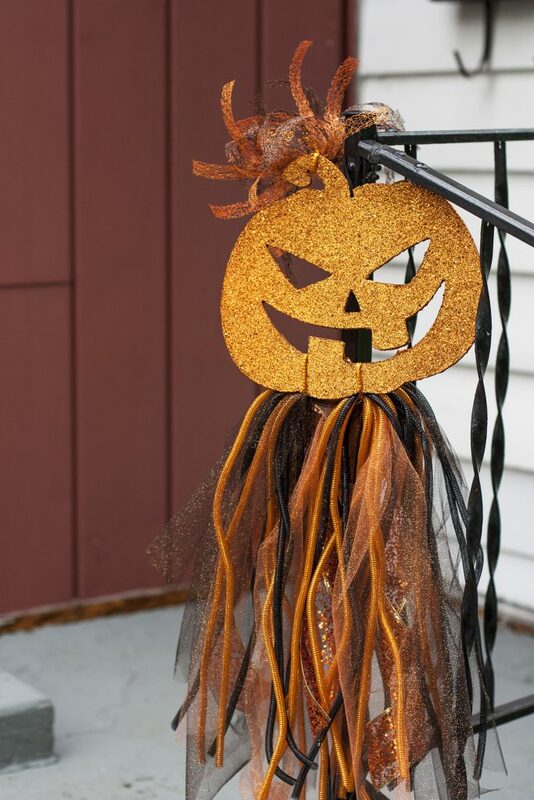 (I found it helpful to hang the pumpkin on a hook on the back of a door for this step.) 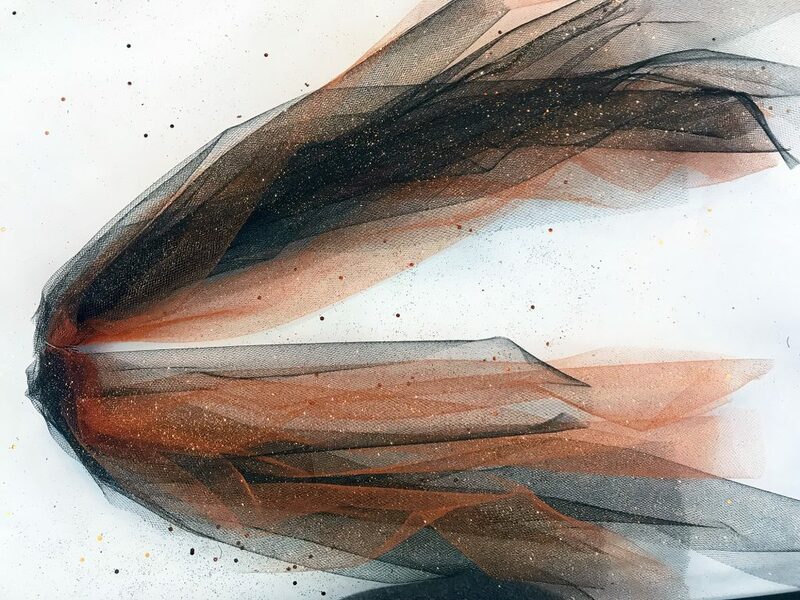 Use your fingers to twist pieces of tulle around the mesh tubing. There’s no exact science to this, so know it doesn’t have to be perfect! The goal is to intertwine everything so it’s fluffy. Use your scissors to even out the ends. 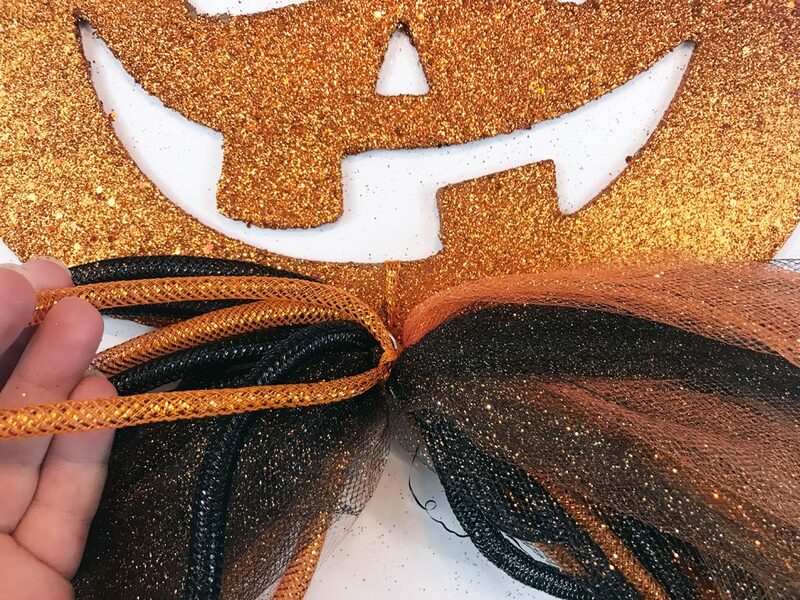 Cut the wire-edged glittery ribbon into 12-inch strips and use bits of mesh tubing to tie the ends near the base of the pumpkin. 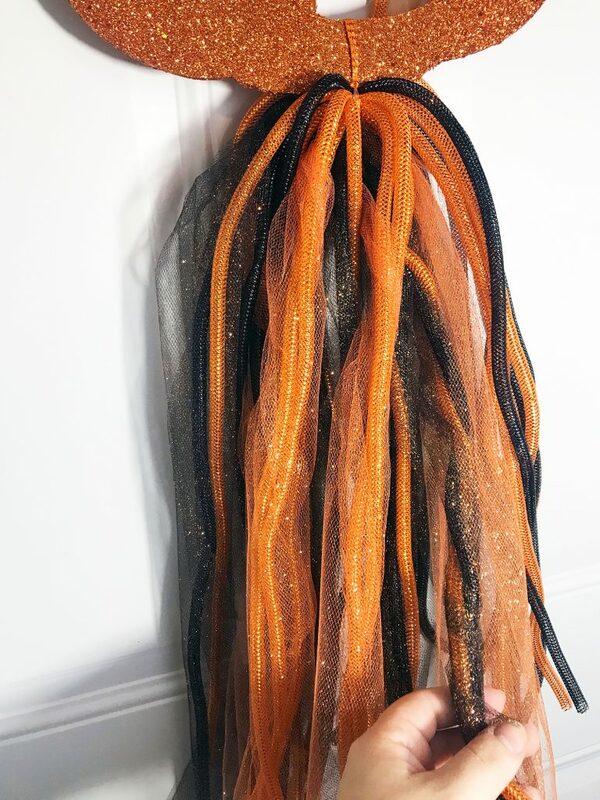 I simply tied mine around a couple pieces of the tubing already hanging from the pumpkin. 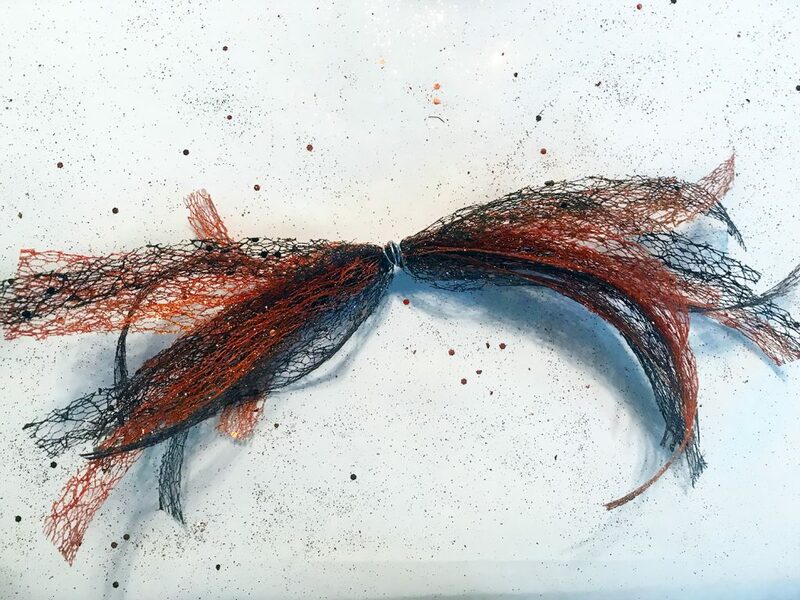 Then roll the wire-edged ribbon around your fingers to give it a little curl. Fluff things as needed to evenly disperse the sparkly ribbon among the tulle and tubing. 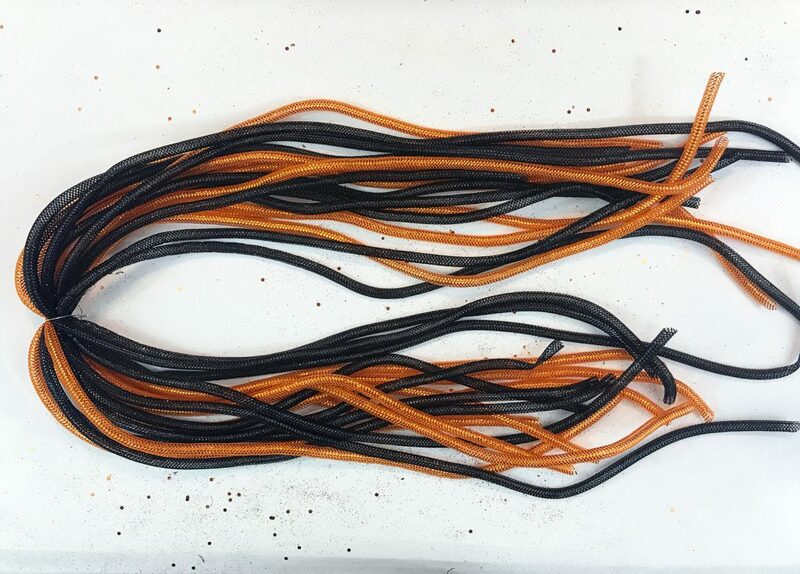 At this point, I used another scrap of tubing to tie everything onto the pumpkin in a second place (see below photo). This helped spread things out along the base of the pumpkin. Cut the two spools of mesh ribbon into 4-inch segments and twist a piece of wire around the middle of the stack. 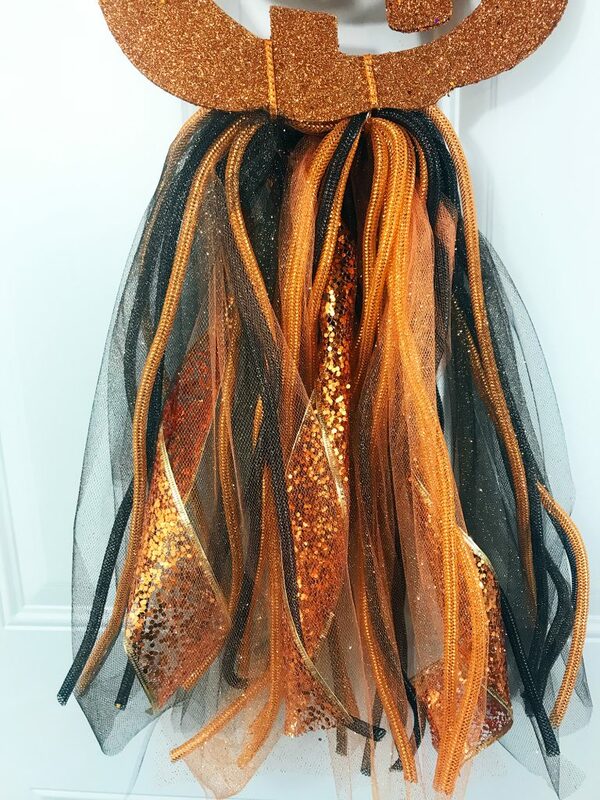 Then use a scrap of orange mesh tube to tightly tie the bundle of ribbon onto the pumpkin stem. Fluff up the ribbon a bit and you’re all done! 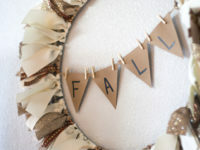 Display your pumpkin wherever you wish! 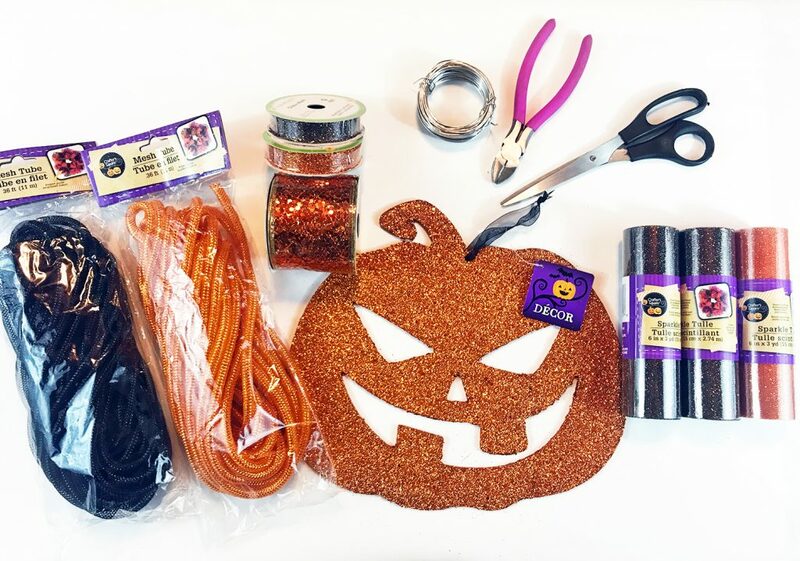 This DIY Halloween wreath is easy to hang using the loop of ribbon that comes on the pumpkin when you buy it. 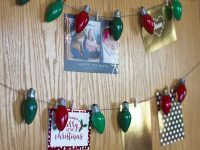 It’s easy to hang it on your front door using a nail or wreath hook, or hang from a railing or anywhere else in your house. Isn’t he just the most adorable pumpkin?! I love all of that glitter and sparkle! 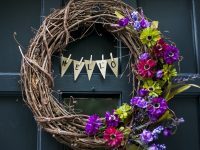 This door decor is sure to catch the neighbors’ attention. And to think it only cost $9 to make! 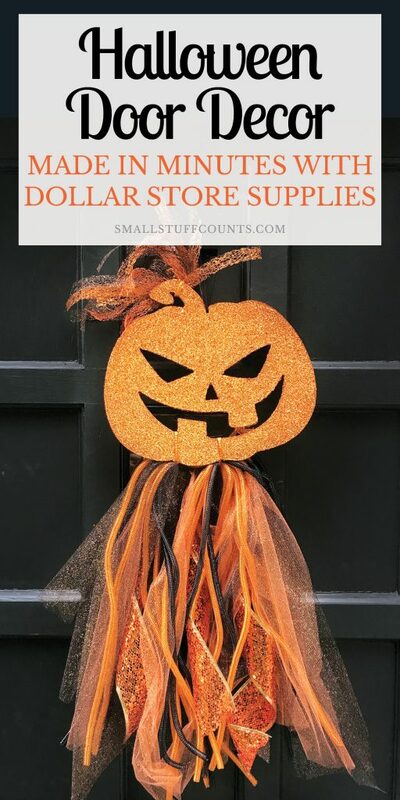 To purchase the supplies used in this adorable DIY Halloween wreath (and find tons of other $1 items), visit Dollar Tree.com or your local Dollar Tree store today! 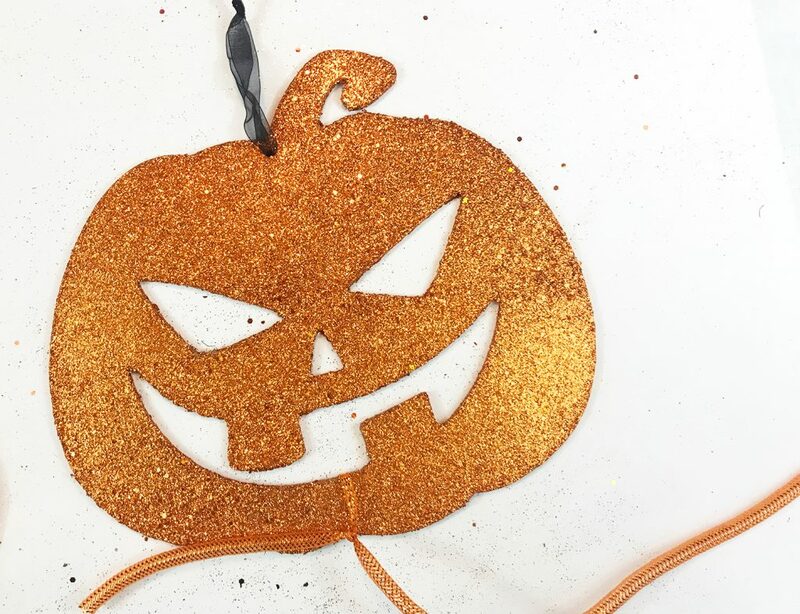 Note: Halloween products are removed from their website on 9/26/17 but are still available in local stores following that date. 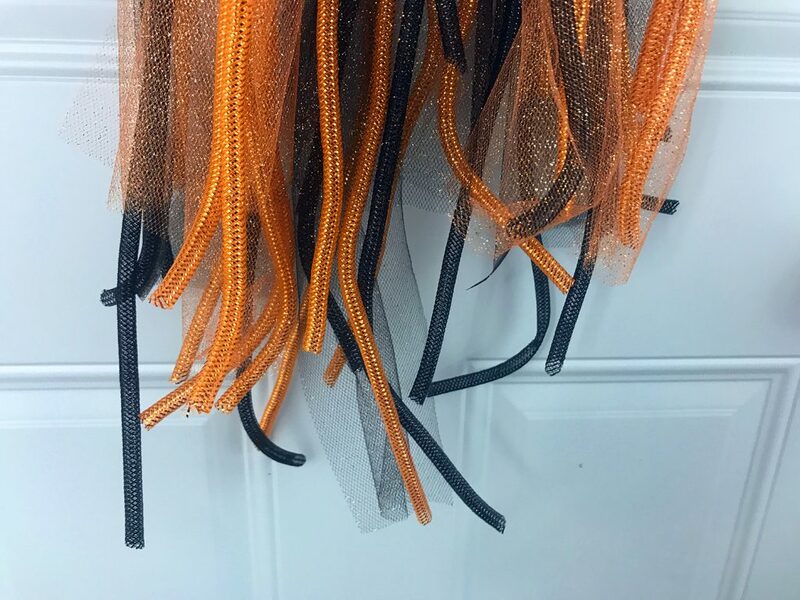 Thank you to Dollar Tree for sponsoring this DIY Halloween wreath project! The content of this post is 100% my own. Affiliate links are included, meaning I’ll be compensated if you make a purchase through a link. For more information, see my disclosure here.